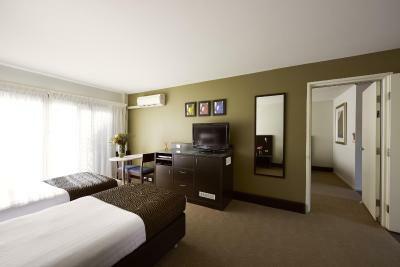 Lock in a great price for Station Motel – rated 9.1 by recent guests! 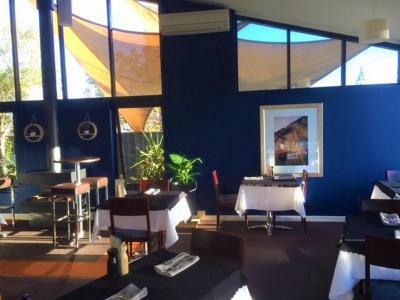 Best place in Parkes to stay, great for business travelers. I liked the friendly welcome. The couple seem to love Rutherglen and what better ambassadors for a community? They knew the area well and were able to recommend sights to see. The room was spacious and comfortable and clean. Super clean. Super comfortable. Free wifi. Foxtel. Close to town. Great staff. What more could you want?? 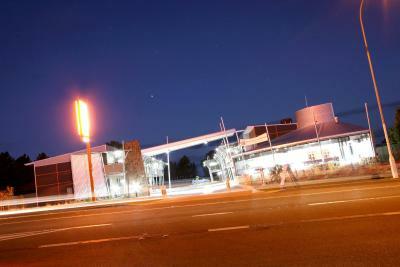 Staff were all customer focused facilities met my expectations in all ways and would truly recommend this stay to all. Clean comfortable room. Lovely bathroom. Helpful staff. Comfy bed, had a fridge, toaster and kettle etc to make our stay easier if we wanted to make our own breakfast. The restaurant steaks were great - cooked to perfection! 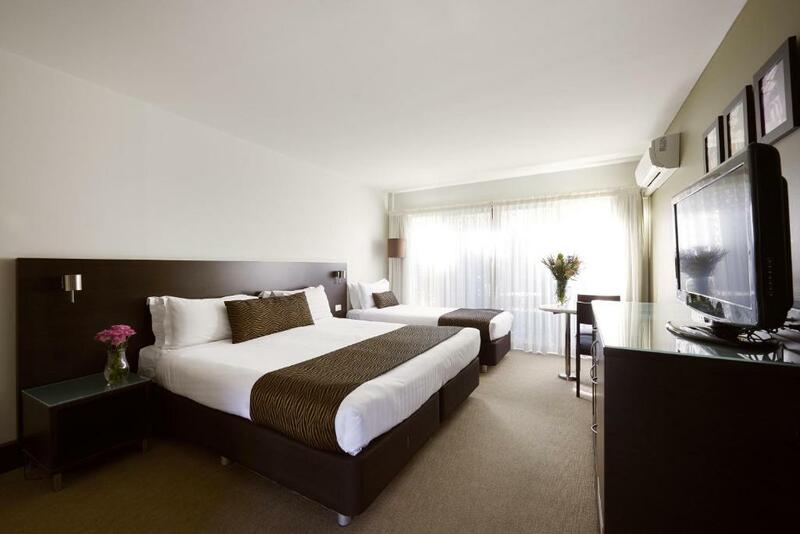 The staff were very friendly, the rooms comfortable and clean. It was also very quiet given the location, we slept soundly both nights of our stay. The noise of people walking up and down the stairs was disturbing. It woke us early in the morning and for this s reason only I will not return. Staff was kind bur the noise did not wrk for us. Station Motel This rating is a reflection of how the property compares to the industry standard when it comes to price, facilities and services available. It's based on a self-evaluation by the property. Use this rating to help choose your stay! 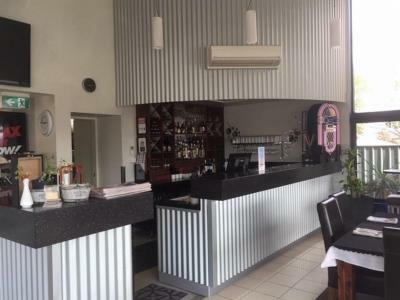 One of our top picks in Parkes.Offering free WiFi, an on-site restaurant and free parking, Station Motel is less than 10 minutes' drive from Parkes Motor Museum and the Parkes Memorial Hall. 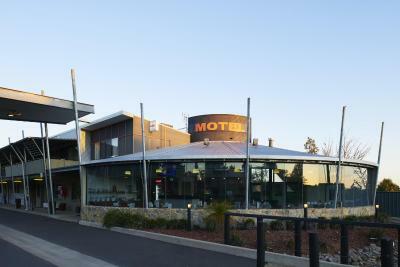 Located next to the Parkes Visitors Information Center, Parkes Station Motel is a 20-minute drive from The Dish. It is an 80-minute drive from Dubbo Western Plains Zoo. 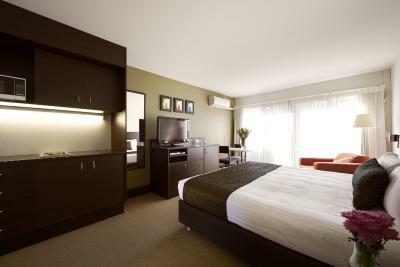 Parkes Station Motel offers air-conditioned 4-star rooms with a flat-screen TV, a DVD player and tea/coffee making facilities. Guests enjoy free rental of DVD titles. A free self-service laundry is also available. 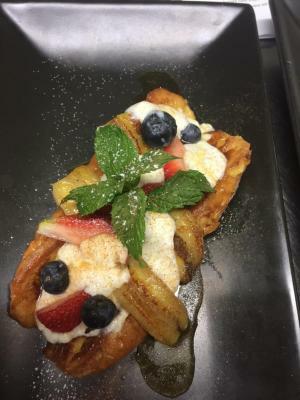 The restaurant is open 7 days a week, serving a continental breakfast and dinner. The bar offers a range of beer and wine. Station Motel is the winner of TripAdvisor's Certificate of Excellence award for 2011, 2012, 2013, 2014, 2015, 2016 and 2017. When would you like to stay at Station Motel? Modern room is fitted with a balcony. 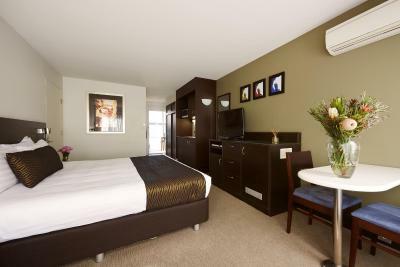 Comes with tea/coffee making facilities, a DVD player and a flat-screen TV with satellite channels. 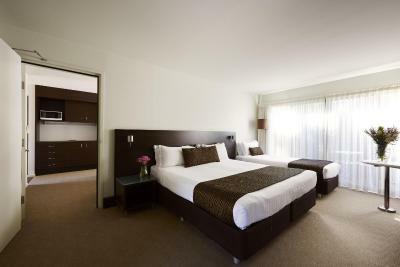 This room consists of an adjoining Executive King and Executive Triple room. 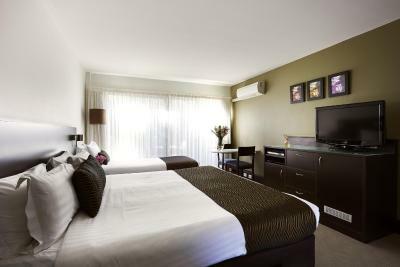 It comes with tea/coffee making facilities, a DVD player and a flat-screen TV with satellite channels. 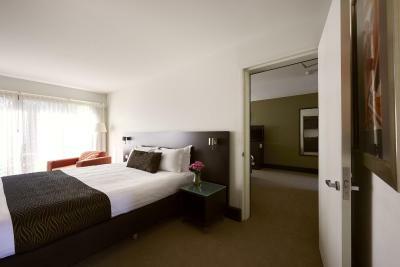 This room consists of 2 adjoining Executive Triple rooms. It features a seating area, complete with a desk, a flat-screen TV with cable channels and a sofa. 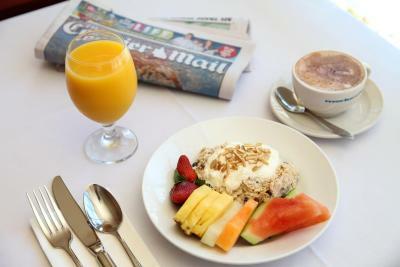 It also offers refreshment facilities including a microwave, toaster, tea/coffee making facilities and kitchenware. House Rules Station Motel takes special requests – add in the next step! Station Motel accepts these cards and reserves the right to temporarily hold an amount prior to arrival. 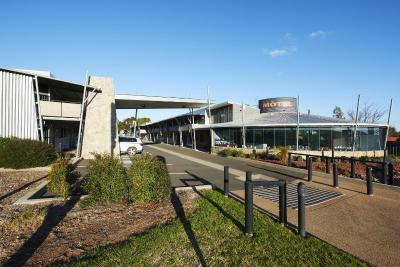 If you expect to arrive outside reception opening hours, please inform Station Motel in advance, using the contact details found on the booking confirmation. Please note that there is 4% charge when you pay with a Diners Club credit card. Please inform Station Motel of your expected arrival time in advance. You can use the Special Requests box when booking, or contact the property directly using the contact details in your confirmation. Bathrooms could be a bit cleaner, especially in the shower. Remember to shut the windows - truck noise on the Newell Hwy was intrusive later at night. Noise from heat pump or something close to my room. Modern, clean and comfortable room. Good food in the restaurant. Easy check in and out. Everything. Site was clean. Staff friendly. Can't fault it. It’s location on the main road. The noise from the trucks going past all day and night did not allow for a restful sleep. Definitely should have been built with sound proofing. Such a pity as it’s such a nice property with lovely staff. Lovely property. Well maintained, new and modern and very clean. Bed extremely comfortable. Restaurant attached at motel excellent. My husband said the pork ribs were the best he'd ever eaten and my barramundi was delicious. Would stay there again just for the dinners!! The food in the restaurant was superb! The service was terrible. The room was dirty and I stayed for 3 nights ther never cleaned the room nor bathroom. The manager very rude and aggressive. I never stay there again. And I will tell everyone how dirty that place is. I don’t think the manager who is an older rude guy cares . Very bad for guests and very bad for business. I don’t recommend this place to anyone now. Water pressure in shower could be better. Breakfast was lovely. Staff friendly. Restaurant was great and rooms were quiet.